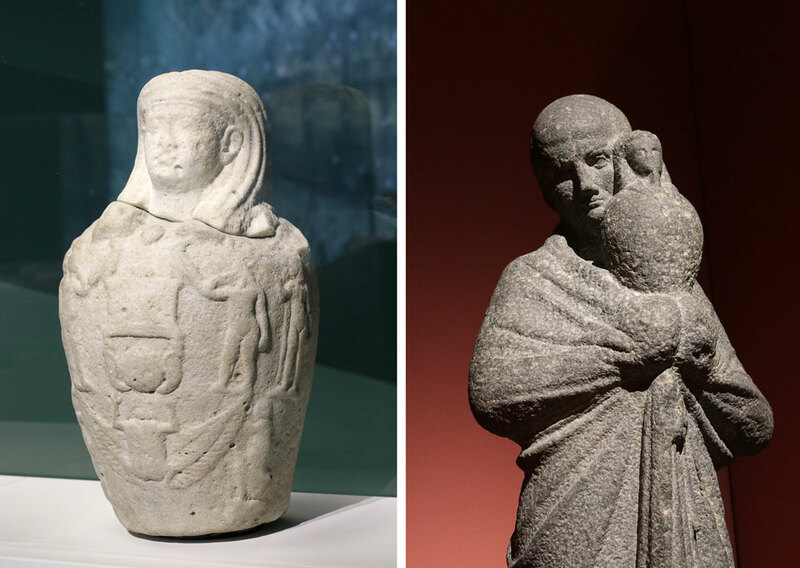 Over 1,200 years ago, two of Egypt’s northern coastal cities succumbed to the same fate as Tool’s Los Angeles: they were swallowed by the sea. While there remained some accounts of their existence, and their grandeur, these mysterious cities stayed lost to the depths of the Mediterranean. Even their true names were forgotten or confused. Canopus, one of the most important religious locations of the Ptolemaic period, the destination of so many pilgrimages; people from around the ancient world journeyed here seeking the sacred temples and miraculous healing shrines until the Christian emperor Theodosius outlawed the so-called pagan cults and had the temples and shrines destroyed. And Thonis-Heracleion, a major gateway and bustling trade hub, a crossroads of both business and social affairs. 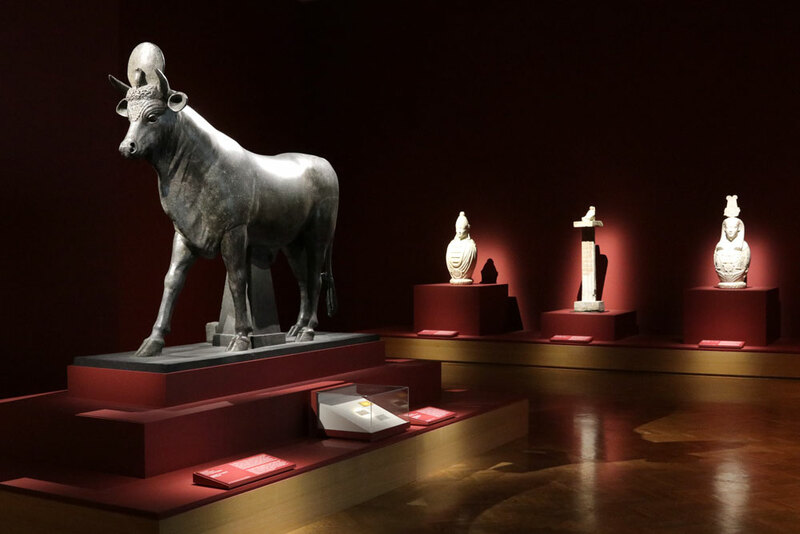 Here is a place where the new influences of Greek art and culture bled into the ancient world of the Egyptians. And, like Canopus, it was also a place of pilgrimages, if on a smaller and much more specific scale. It was also a place where new pharaohs journeyed to be presented to and legitimized by the gods. Cut to modern day. Over a span of 20 years, an expedition team of archaeologists, Egyptologists, historians, geologists, geophysicists, and computer engineers led by Franck Goddio came upon something spectacular in the Aboukir Bay: the lost cities. If Thonis-Heracleion was a place where the Greeks merged with the ancient Egyptians, then Goddio, celebrated marine archaeologist and the founder and president of the European Institute for Underwater archaeology since the 1980s, is the human equivalent. He and his team have brought their ancient discoveries to the modern us, and in doing so, the cycle continues. 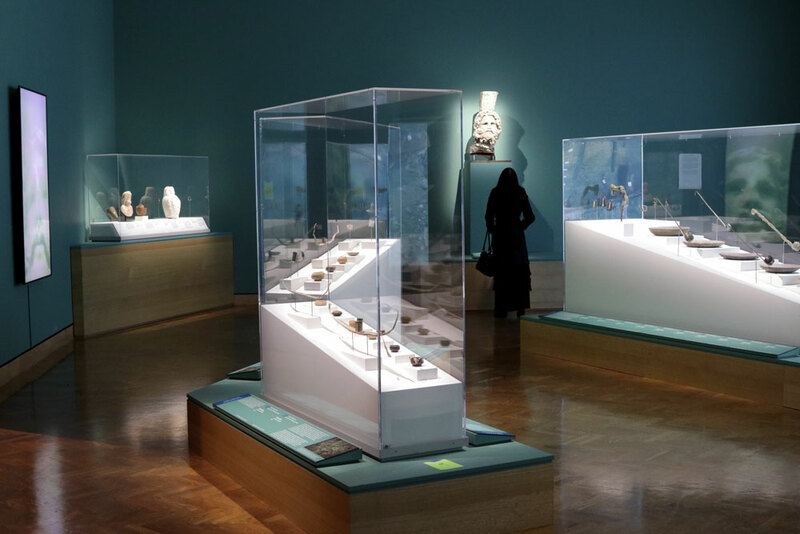 Egypt’s Sunken Cities, on display at the Minneapolis Institute of Art through April 14, 2019, showcases more than 250 artifacts from their excavations. 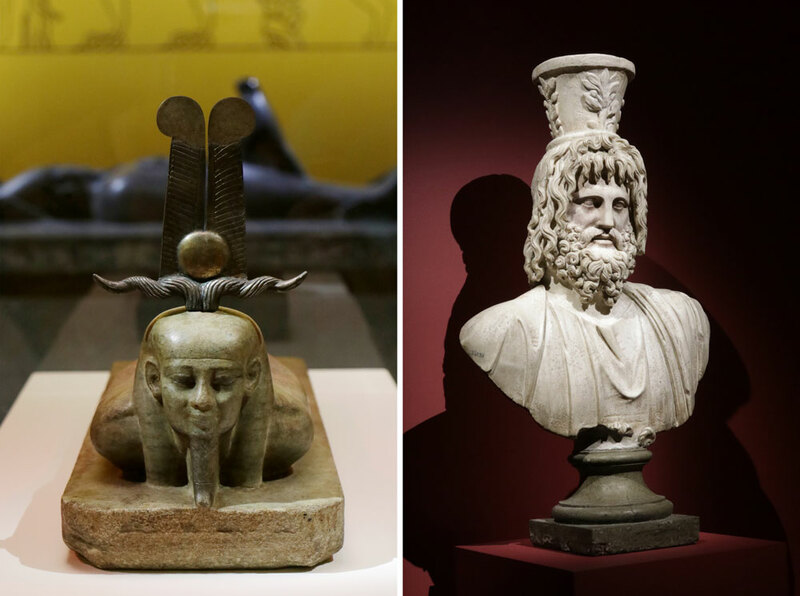 Among other things, they show this Greek influence on Egyptian art—busts of Osiris done in iconic Greco style, full-body statues supported by carved draped fabric instead of the traditional back-pillar design. Objects mundane and mystical, a retrieval of history frozen in time by the water. 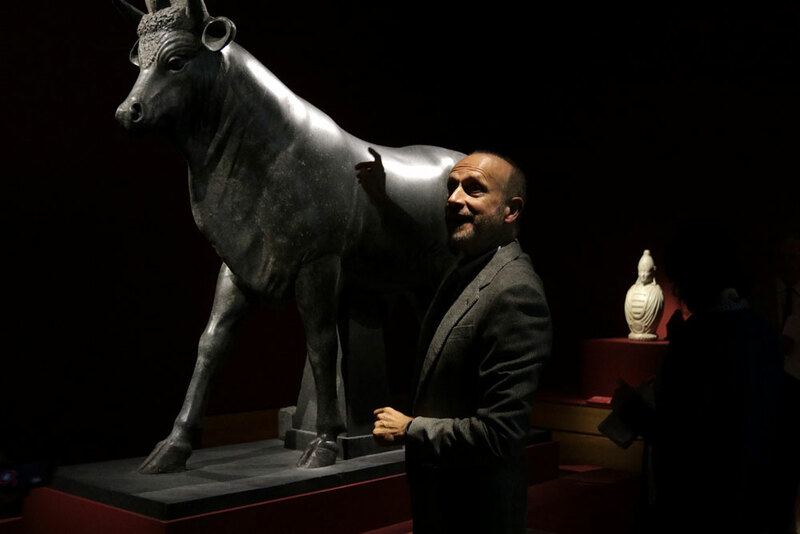 There are massive stone statues weighing thousands of pounds to be seen, some too large to sit anywhere except the lobby. There are ritual tools, jewelry, functional items, art. All of these pieces together tell a story, present a peek into a lifetime that, up close, doesn’t feel so outside of our own. There are plenty of mythological artifacts too, and an entire room devoted to the story of Osiris’s death and rebirth. Ancient Egypt, its mythology and architecture, its history both fantastical and practical, has captivated the imagination with a vigor and endurance that seems unmatchable. As it has for eons. What is ancient to us was ancient also to those ancients. (A bit of perspective: Cleopatra lived closer to the advent of the iPhone than the construction of the Great Pyramids.) The timeline of Egypt’s history, although we know a lot of objective facts about it, easily becomes blurred when you look it as a collective. The dates and historical events are obviously extremely important, but that is not what has captured interest across time. It is always challenging to write a review for something like this, where the actual history is fascinating but widely accessible. For people interested in the myths and lore, there are countless books and websites, even merchandise, available. Sunken Cities is something else entirely: magical, timeless. 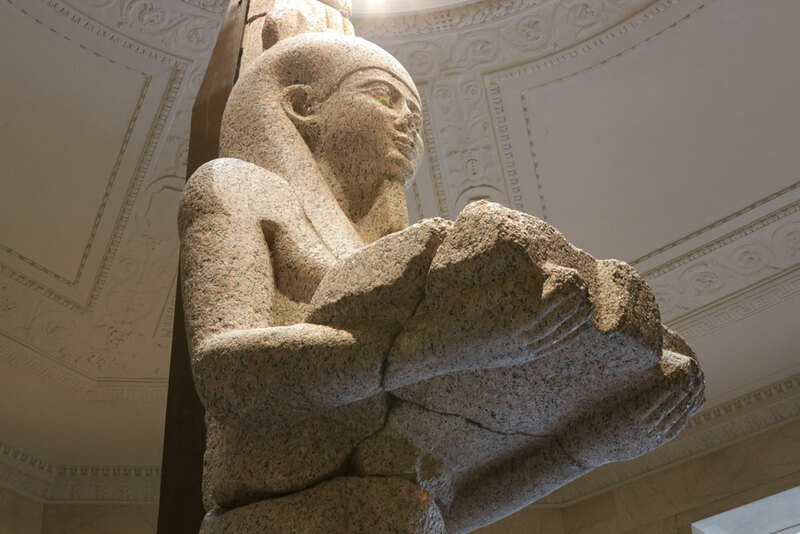 Face to face with the towering statue of Hapy, the personification of the Nile River’s floods, once broken into seven pieces and now reassembled once again in the rotunda of the museum. Locking eyes to make a wish to the hollows of a stone face in the same way that countless of others across time have, the goal of so many spiritual pilgrimages. Or in the artifacts of a ritual so secret and sacred only the pharaohs were allowed to witness it, now displayed openly in glass cases for us milling about the museum. And maybe most haunting and fascinating of all, a tablet at the entrance to the exhibition so perfectly preserved it seems unreal—a prop, a toy. It looks to us the same as it did to those who last saw it. The profoundness, the magic, is in how accessible it seems up close, how human. Like these lost cities, the Institute becomes a place both practical and spiritual. Click here for more information and tickets for Egypt’s Sunken Cities. The Minneapolis Institute of Art’s November 2018 Family Day and Third Thursday events focus on the exhibit, and the museum is also offering a limit number of free tickets for Black Friday.